Description of "Letting Go of My Father's Soul"
When my father died of cancer, I and my family, especially my mother, were left with a void in our lives which defied being filled. Moreover my mother, being religious to a fault, worried that my father would not find the right way to salvation. We performed all the rituals needed to be performed by a Hindu family as religiously as they could be performed. At the end, we have no way of telling if my father found salvation but we as a family were able to let go of his soul eventually however much difficult this was in the beginning. This book is about the author's own trials and tribulations at the loss and a tribute to time which is the balm of hurt minds for all mortals. 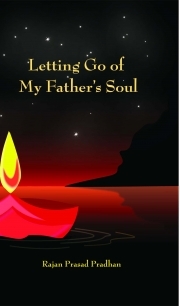 Reviews of "Letting Go of My Father's Soul"